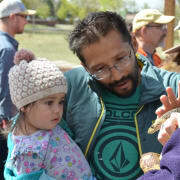 Earth Day Celebration at the Railyard Park in Santa Fe! Volunteers are needed for numerous roles such as wildlife exhibits and recycling demonstrations. Share your passion for the environment by volunteering at this grassroots, zero-waste, family-friendly event!